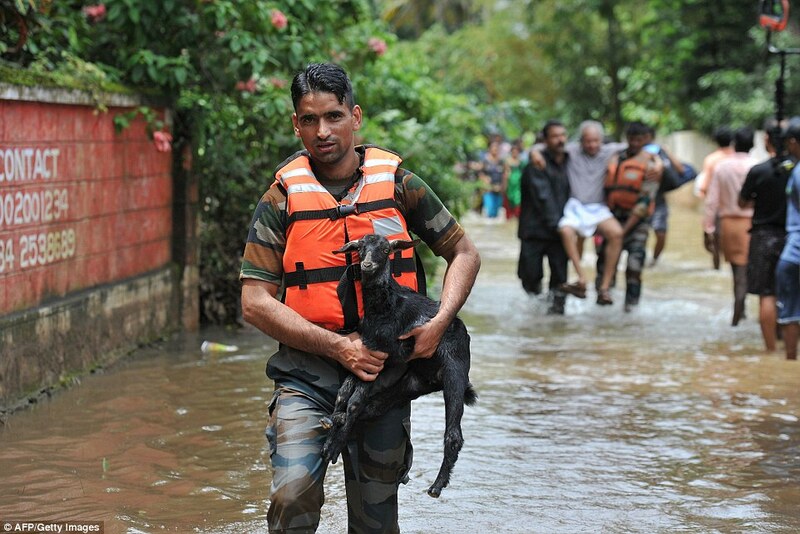 The Indian flooding death toll has risen to over 350 with more than 800,000 people in total displaced by the natural disaster. 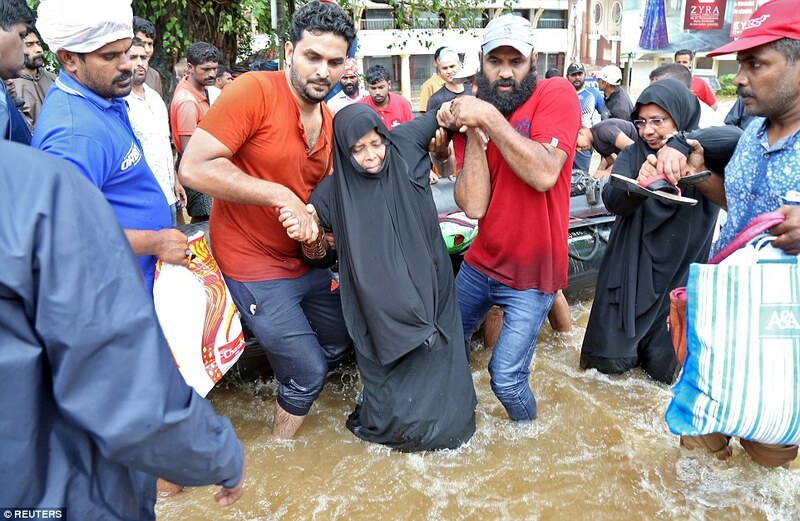 Experts are labeling the deluge which has smashed the southern Indian state of Kerala this week as 'the worst flooding in a century' as rescuers battle to save those still cut off by the floods. 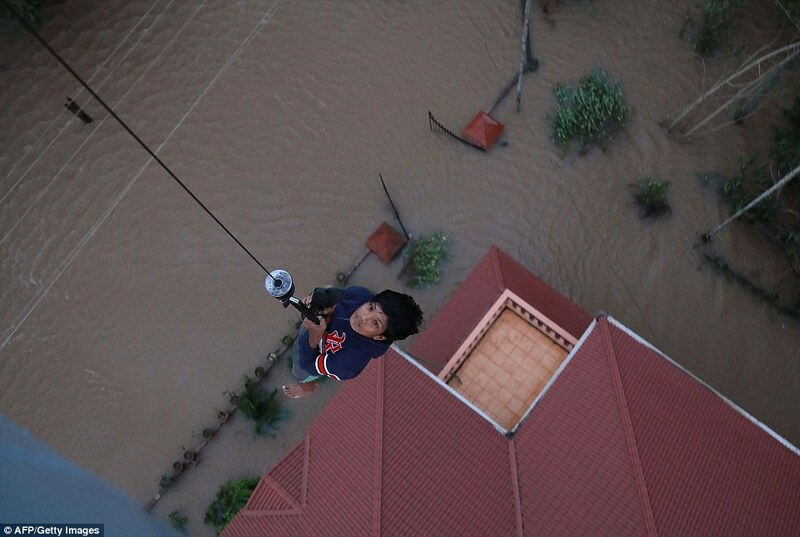 Authorities are also rushing to bring drinking water to the most affected areas, officials said Sunday. P.H. 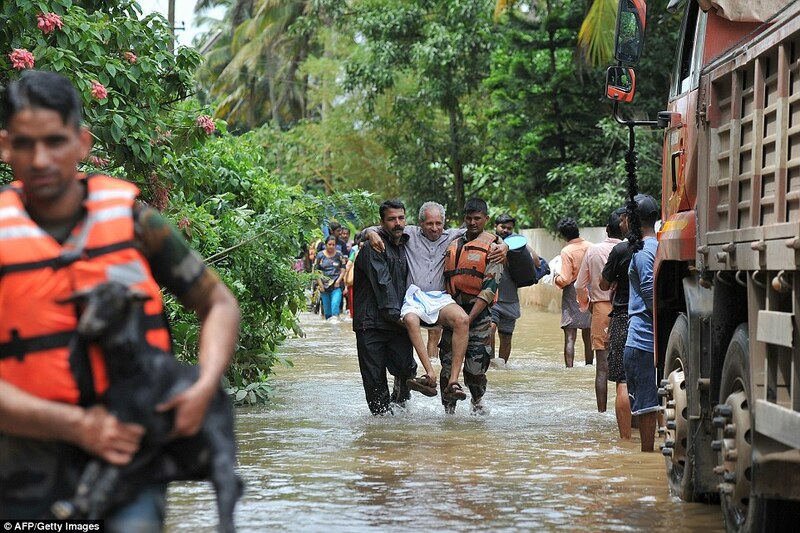 Kurian, a top disaster management official in Kerala said rainfall in some areas went well over double that of a typical monsoon season. 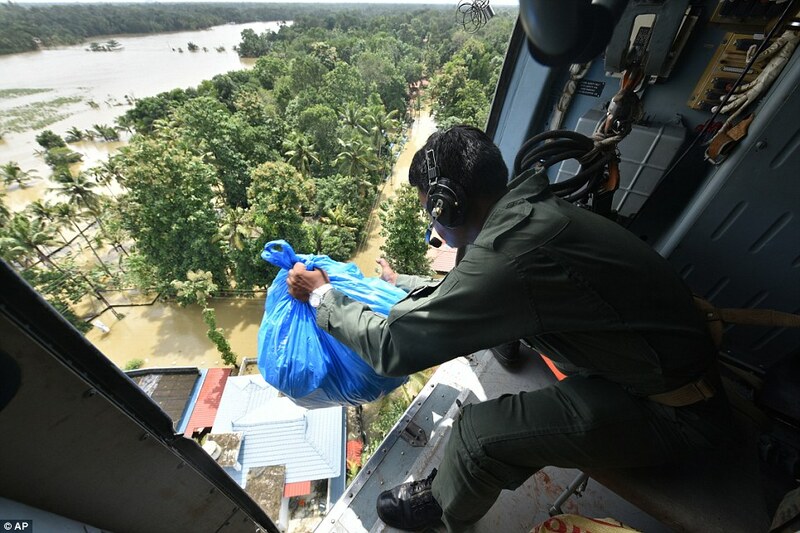 Thousands of rescuers were continuing efforts to reach out to stranded people and get relief supplies to isolated areas by hundreds of boats and nearly two dozen helicopters, Kurian said. He said weather conditions had improved considerably and expected the nearly 10,000 people still stranded to be rescued by Monday. 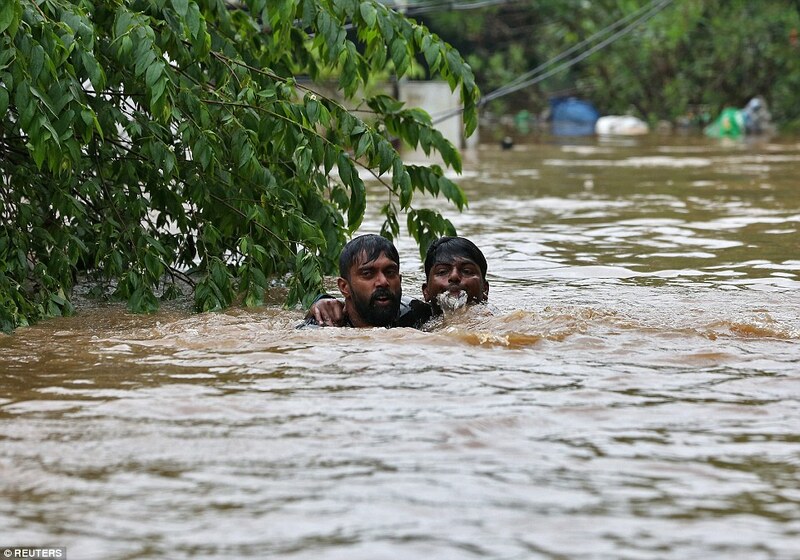 Large parts of southern India have been battered by heavy rain for weeks, which has triggered floors and landslides causing death and destruction. 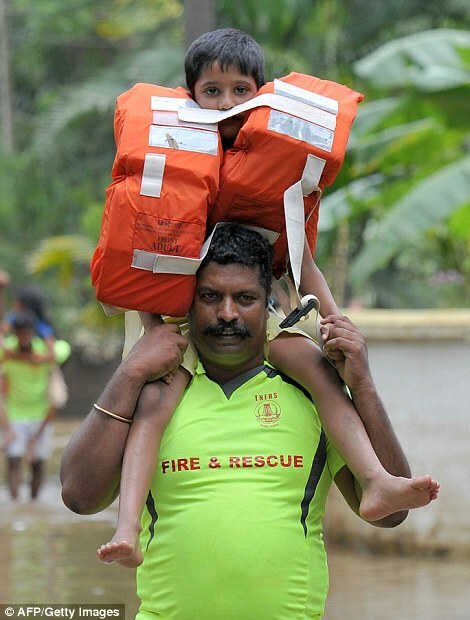 At least 190 people have died in the flash flooding caused by torrential rain since August 8, while 350 have died in the three months of the rainy season. 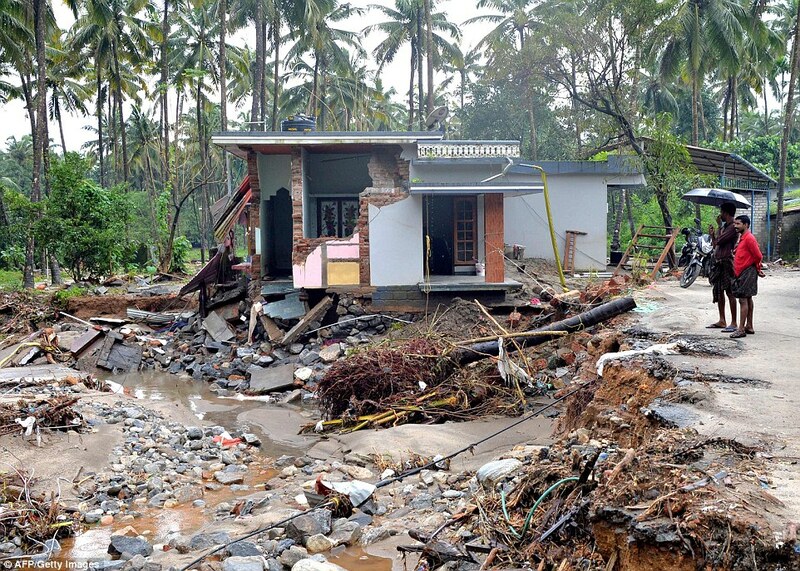 The floods have triggered landslides and sent torrents sweeping through villages. 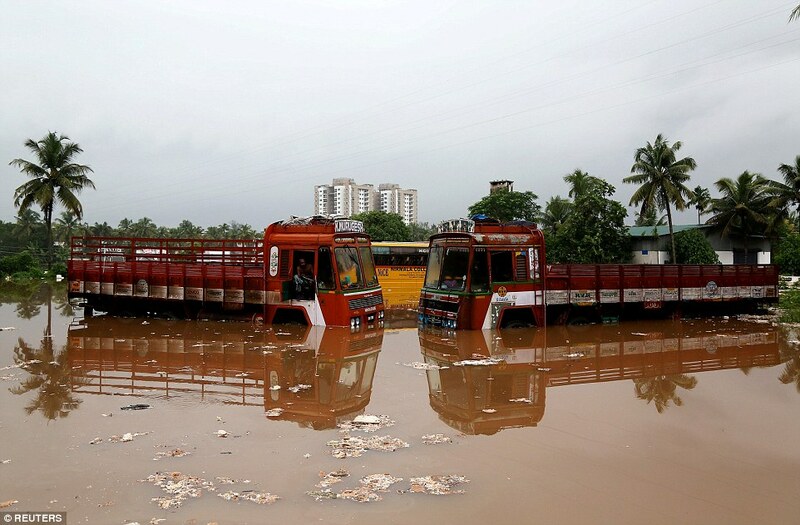 Heavy rain hit parts of Kerala again this morning, which has slowed attempts to deploy rescuers and get relief supplies to isolated areas. Many have seen no help for days and can only be reached by boat or helicopter, although rescue attempts are underway in some parts. Authorities said they were being inundated with calls for assistance, local media reported. 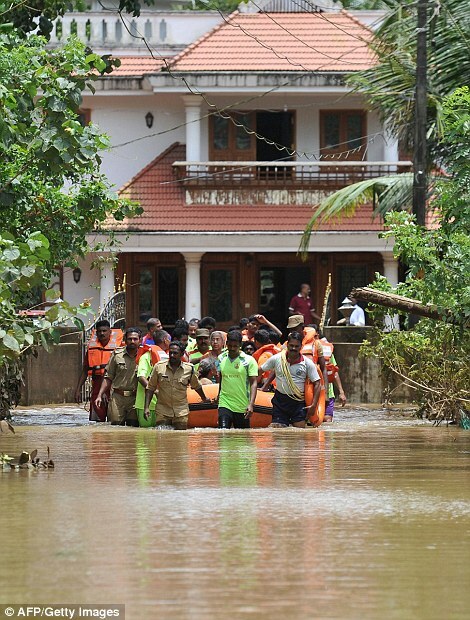 'We are receiving multiple repetitive rescue requests,' the office of the state's top official, Pinarayi Vijayan, said Friday in a tweet, asking those in need to provide their exact location and nearby landmarks so rescuers can find them. 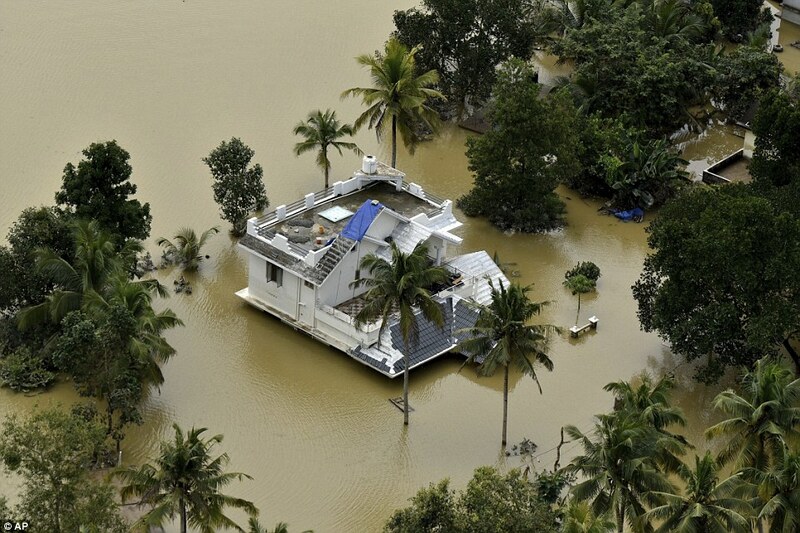 The downpours that started August 8 have triggered floods and landslides and caused homes and bridges to collapse across Kerala, a picturesque state known for its quiet tropical backwaters and beautiful beaches. 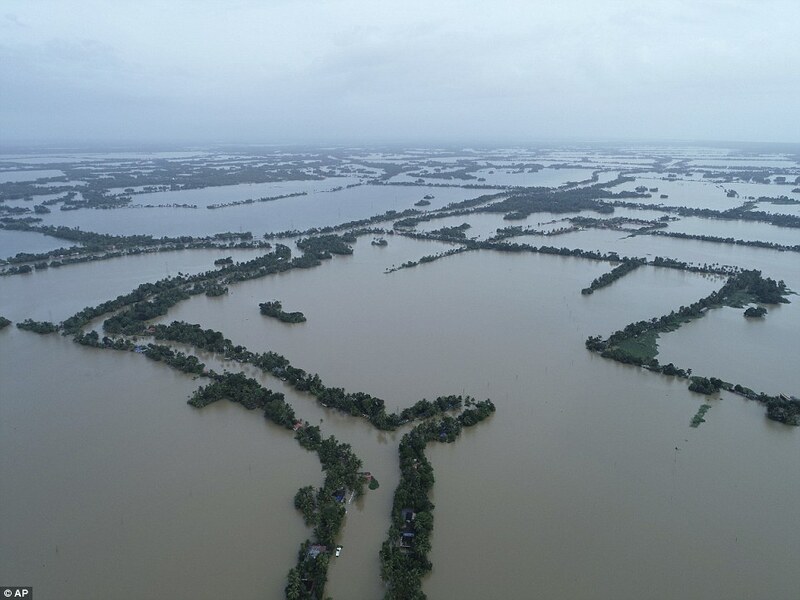 Hundreds of troops and local fishermen are staging desperate rescue attempts with helicopters and boats across the southern state, which draws international tourists to its tropical hills and beaches. 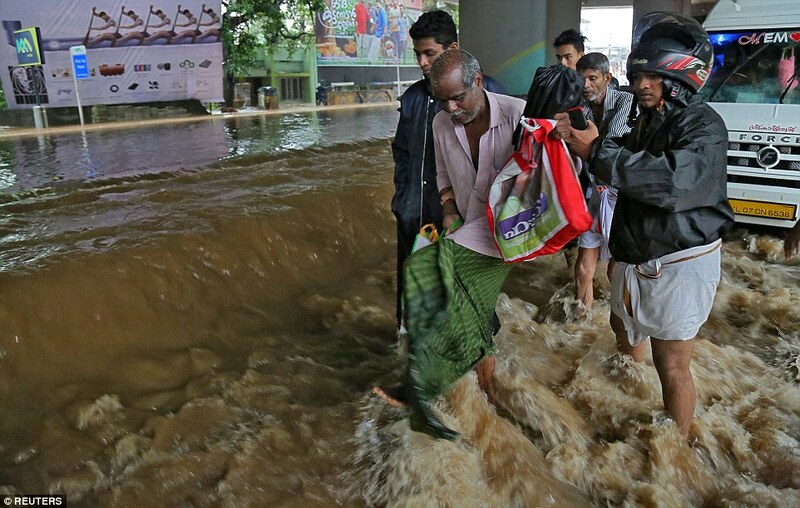 With thousands still trapped, power and communication lines down and fresh alerts of further torrential rain, authorities warned of more trouble ahead and further deaths to come. 'We are deploying more boats and army to ramp up rescue operations,' senior state government official P.H. Kurian said. 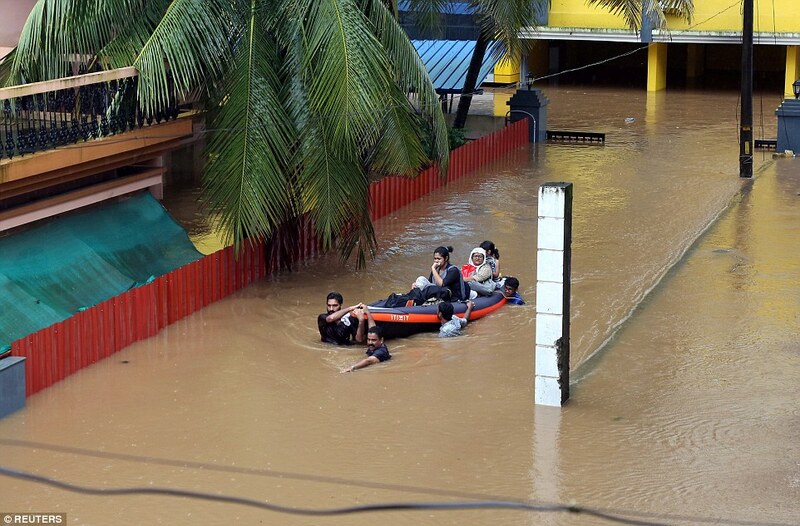 More than 30 military helicopters and 320 boats are attempting rescues across Kerala. 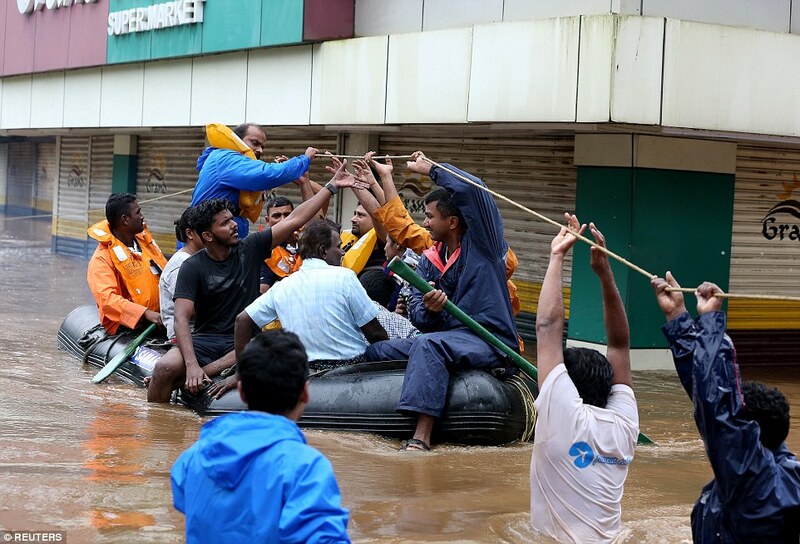 Authorities said thousands of people have been taken to safety so far but 6,000 more are still waiting for rescue. 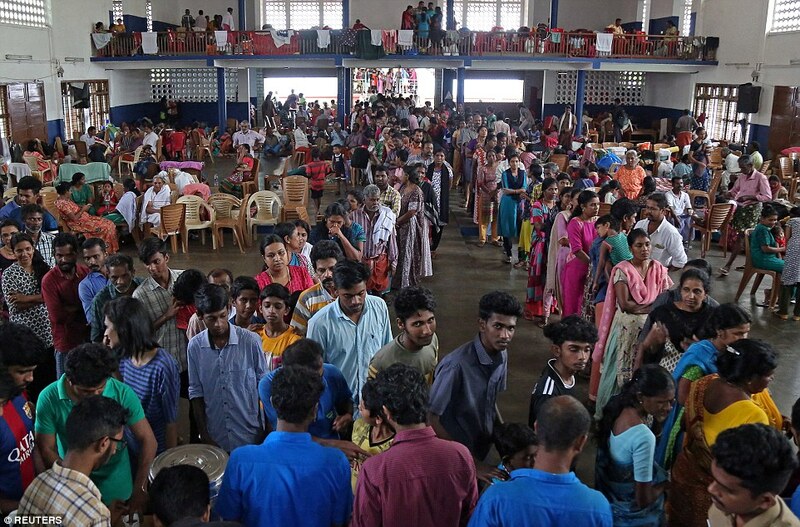 Helicopters have also been dropping emergency food and water supplies, while special trains carrying drinking water have been sent to Kerala. 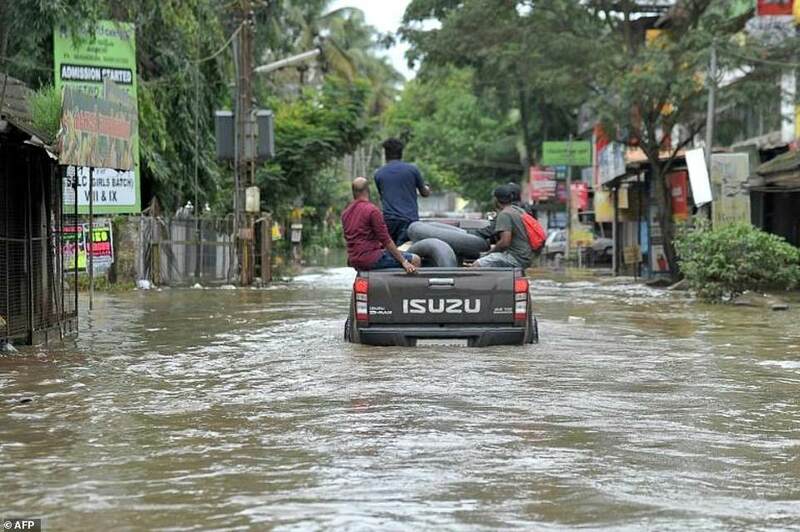 According to India's weather bureau, since the beginning of June more than 126 inches of rain has fallen on the hilly central Kerala district of Idukki, which is now virtually cut off from the rest of the state. 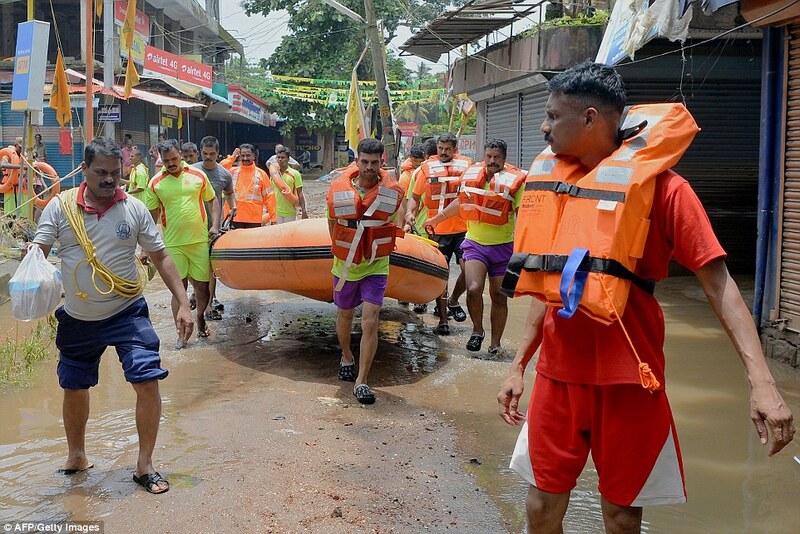 With no end in sight to the deluge, people all over the state of 33 million people have made panic-stricken appeals on social media for help, saying they cannot make contact with rescue services. 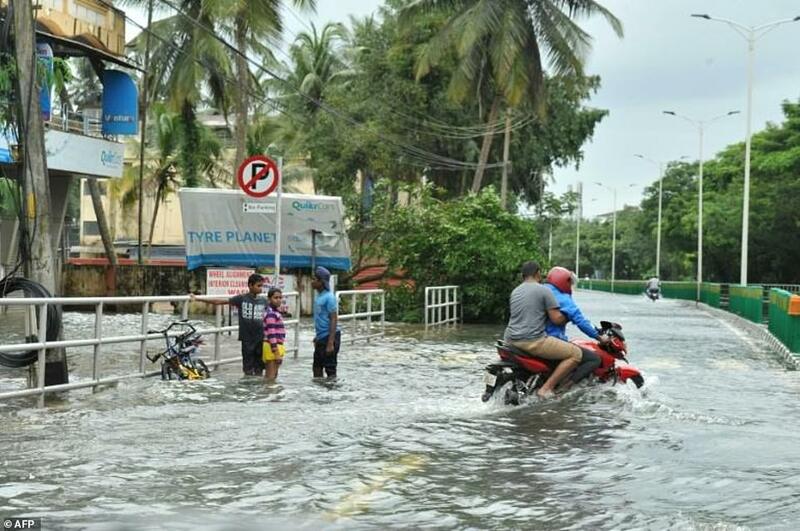 'My family and neighbouring families are in trouble,' wrote Ajo Varghese, a resident of the coastal city of Alappuzha, in a Facebook post that quickly went viral. 'No water and food. Not able to communicate from afternoon. Mobile phones are not reachable... Please help,' he added. 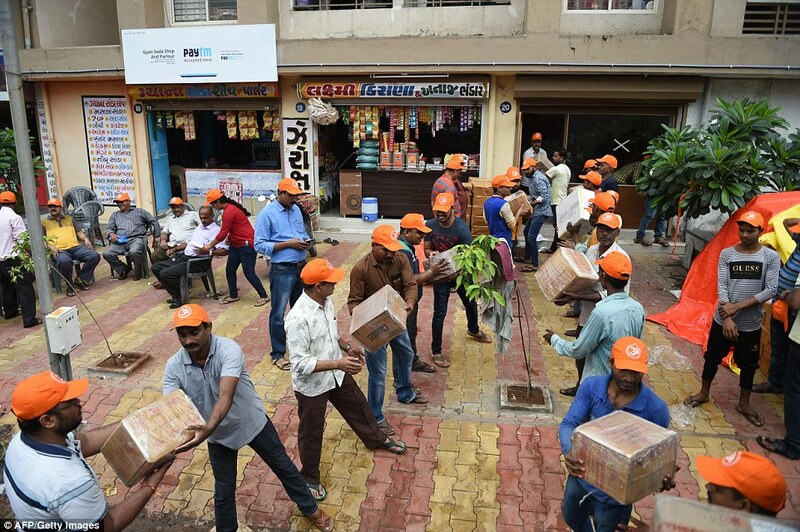 Other messages have been sent from people trapped inside temples and hospitals as well as their homes. 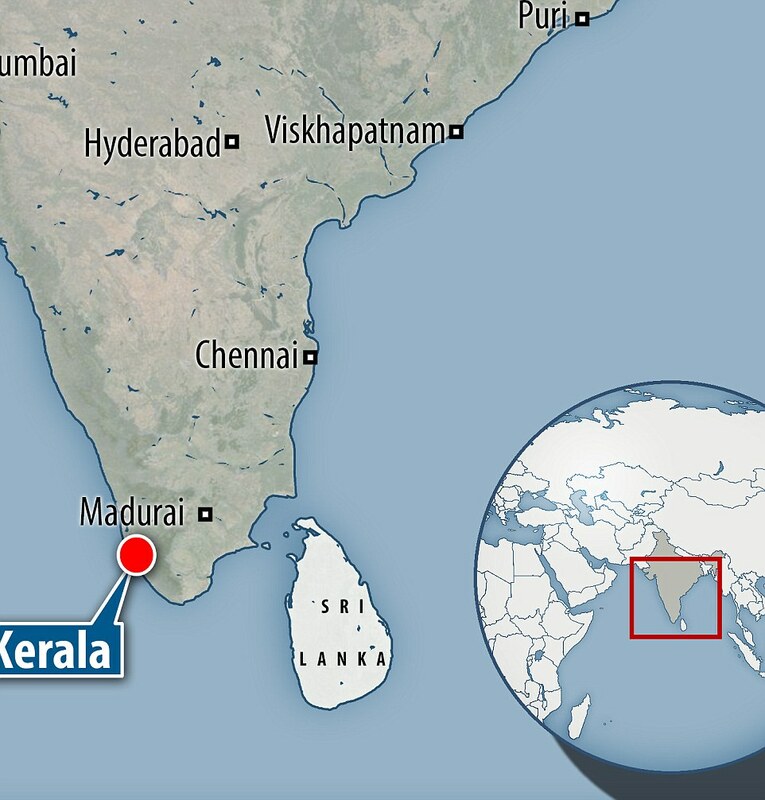 The Kerala government has said it faces an 'extremely grave' crisis and state chief minister Vijayan warned of a new wave of rainfall hitting the battered region over the weekend. Strong winds have also been predicted for Saturday and Sunday. 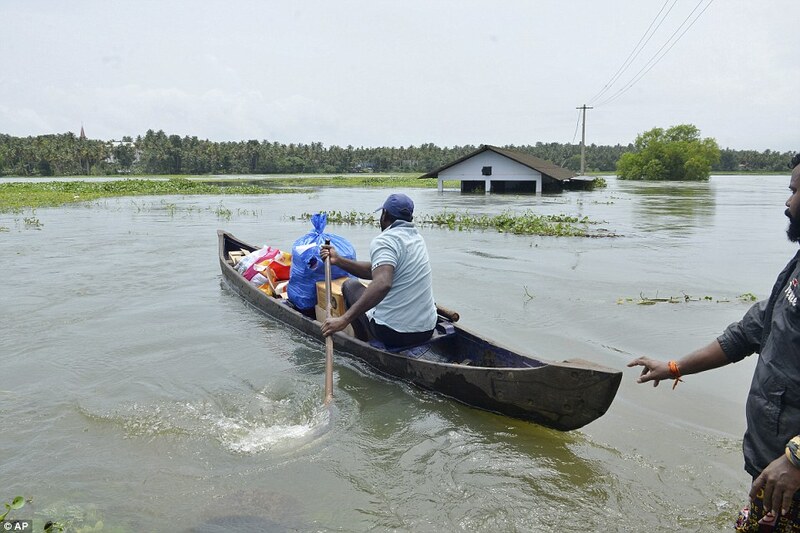 The gates of dozens of dams and reservoirs across the state have been opened as water levels reach danger levels, inundating many other villages. 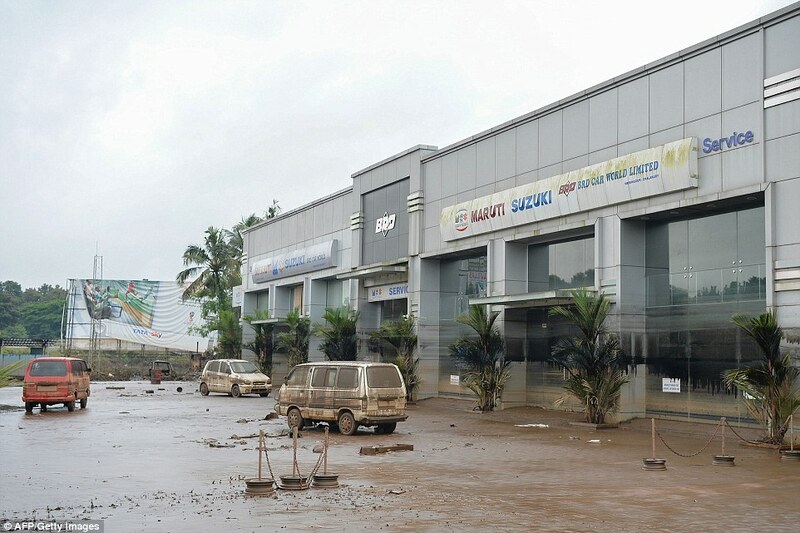 North and central Kerala have been worst-hit by the floods with the international airport in the main city of Kochi shut until at least August 26.